Jacquie is a Clinical Teacher/Solicitor at the University of Newcastle Legal Centre (UNLC) admitted to the Supreme Court of NSW and in continuing practice since 2002. As part of her practice she provides clinical supervision to law students at the UNLC and teaches into the Law School's Practice Program, Bachelor of Laws and Juris Doctor degrees. Jacquie’s expertise is in unfair dismissal, discrimination and high profile public environmental interest cases. Previous to her role at UNLC, Jacquie was an employed solicitor at the NSW Environmental Defenders' Office running public interest environmental litigation in the NSW Land & Environment Court, at the NSW Department of Environment and Conservation Legal Branch as a prosecutor, and in the Environment & Planning Group of Mallesons Stephen Jaques (Sydney)(now King & Wood Mallesons). Prior to this she was a lobbyist in state parliament on behalf of peak environmental NGOs, an environment advisor to a Federal Senator, a research assistant and a campaigner for a number of conservation groups. She has been at UNLC since 2009. 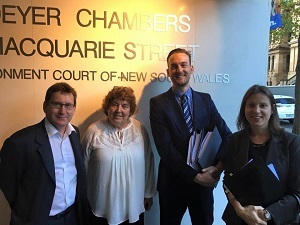 As well as discrimination and unfair dismissal cases she has recently (June 2018) commenced merits proceedings against Williamtown Sand Syndicate in the Land & Environment Court of NSW on behalf of Williamtown & Surrounds Residents Action Group Inc against a proposed sand mine on critically endangered species habitat in Port Stephens. Previous to that she ran the successful case to return King Edward Headland Reserve to public hands (2012/2015) and the protection of a large area of squirrel glider and koala habitat at Anna Bay, NSW (2015), and acted in the successful refusal of development consent for a large late trading pokie-pub in a very disadvantaged area of Sydney (Casula) on behalf of 3500 objecting community members due to its likely influence on increasing violence, alcoholism and domestic violence in the region (2016). In her spare time Jacquie is a fiction writer, convenor of Newcastle Climate Change Response https://www.facebook.com/groups/1216525535154056/, and mother of two. Her first commercially published work of fiction Direct Action is due out through Lacuna https://www.lacunapublishing.com/index.php/titles/fiction in July 2019. Admitted as a Solicitor of the Supreme Court of NSW 2002. AWARDS: University of Newcastle Faculty of Business and Law Excellence in External Engagement Staff Award. Public interest litigation, discrimination, environmental law, feminist legal theory. Lobbist in NSW State Parliament on behalf of 7 Peak Environmental NGOs: Greenpeace, Total Environment Centre, Nature Conservation Council, Friends of the Earth, National Parks Association. Advising and assisting the Senator on proposed environmental legislation & policy and constituent issues. 6/01/1993 - 14/06/1995 Campaign Coordinator (Volunteer) The Wilderness Society (WA Branch) Inc. 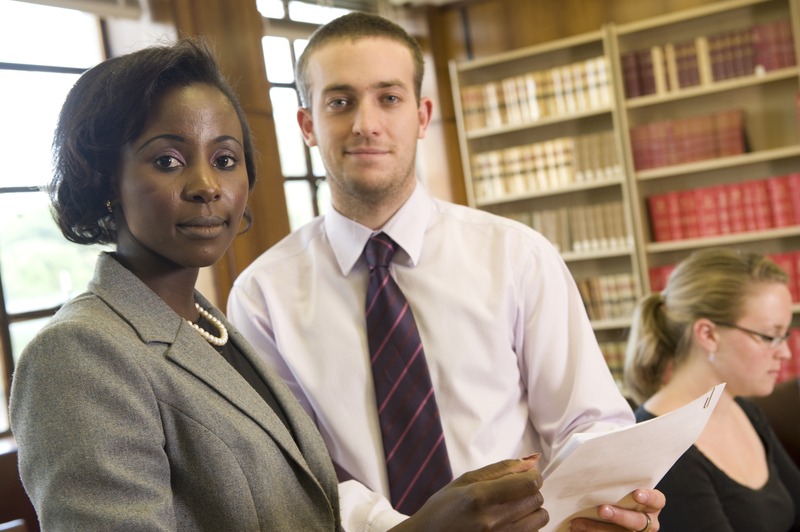 This course is an optional compulsory module that is required for admission as a legal practitioner as part of the Professional Programme. On successful completion of this module, students will have met the applicable LPAB competency standards for Employment & Industrial Practice (et out below), gained an understanding of the social and political importance of current Australian Federal industrial relations law, developed further competency in statutory interpretation, and in practicing the substantive law practice and procedure most commonly involved in employment and industrial relations practice, and demonstrated the capacity to reflect critically on their own learning experiences in recognising Law as a dynamic discipline requiring lifelong learning and skill development. In this course students carry out work on current or potential environmental and natural resources law cases in or proposed for the Land & Environment Court of NSW, supervised by an experience environmental law Clinical Teacher/Solicitor at UNLC. This practical work is scaffolded by an intensive series of online lectures on NSW natural resources and environmental law, judicial review and civil enforcement techniques, and in-class exercises, discussions and field trips. From engagement in environmental advocacy and targeted course content, students will learn about the reasons why the law seeks to protect the environment, its techniques and methods, and its potential and limits in doing so. Students will gain hands on knowledge preparing them for practicing and policy-making in the environmental and natural resources law field, as well as an opportunity to reflect on these practices. As this course may involve current clients at the UNLC, participants will be required to sign the confidentiality agreement attached at the end of this Course Outline. An intensive 10 day internship placing 20 NLS JD and LLB law students and two law academic supervisors in NGOs and government institutions focusing on environmental and natural resources law and corruption prevention in Jakarta and Bogor, Indonesia, in partnership with the Universities of Atma Jaya and Brawijaya. This project funded 10 Newcastle Law School 4th and 5th year Law students and an academic supervisor from NLS to undertake a 10 day international work-integrated placement in Malang and Surabaya, Indonesia, in partnership with the University of Brawijaya, Malang. The program introduced students to the key administrative and anti-corruption processes, policies and institutions in Indonesia through the lens of environmental decision making. See a selection of Jacquie Svenson's involvement in various legal cases.